I'm going to hop out of order in my book reviews. I have three books I finished prior to this light-hearted one, but those reviews will take more time than I have to give at the moment. 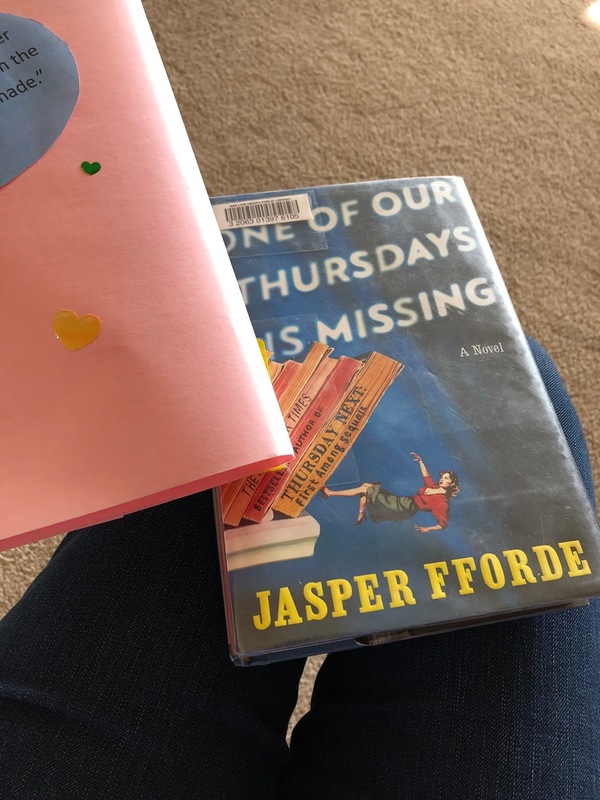 This book was a "blind date" book during the month of February at our local library. I finished it today, this last day of March...a very long blind date. I don't know how I have missed reading any of the books in this series. It's a perfect book for me, not that I think it is for everyone. You really have to like books and all that goes into writing and reading books. 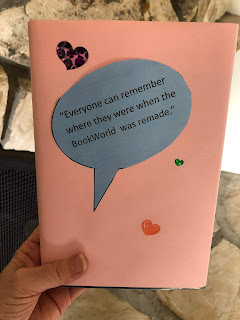 I've been searching to see if someone else has found a way to describe the book: an alternate bookworld. Readers of this series write that one has to read the other 5 that came before this one, but I didn't know there were five others and I did just fine. I didn't feel as though I could fully navigate in this alternate world, but I felt this way because the whole novel was...well, so novel, truly! Perhaps if I had started at the beginning (as I did with The Invisible Library series), I would have been bored with the explanations of how the Bookworld worked (as one reviewer was). Several other reviewers in Goodreads have fully written out the "dorky, readerly" quotes. 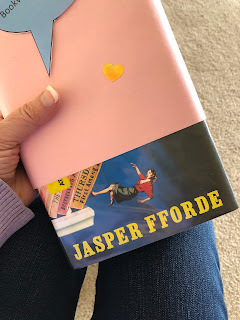 I would have written quirky and humorous, but definitely "readerly" and I'd rather not rewrite them all out, but do peruse through Goodreads or Jasper Fforde quotes because they will tickle one's reader funny bone (e.g. trying to figure out who is speaking on page 133 written as a joke; the "Law of Egodynamics: 'For every expert there is an equal and opposite expert"). As a book to borrow from the library, it's a 5 star borrowing book. I can't quite give it a 5 star buying book rating even though there are a few thought-provoking parts when Professor Plum discusses RealWorld with written Thursday: "...you can discount at least eighty percent of chat as just meaningless drivel...In some individuals it can be as high as ninety-two percent. The people to listen to are the ones who don't say very much" (179). Also, I think I may have moments in the future while reading another author's fiction book where Fforde's Bookworld will intersect with my reading. I'll find myself wondering about the genre or a metaphor or whether there's tea in that teapot. Lol! (You just have to read the book for yourself.) Rating range of 3-5. Why did I start the range with a 3 which only means "I liked it"? It was a great "blind date" with an immediate attraction -- it was all so new and fresh to me, and every time I picked the book back up, I found parts to like; however, I did go out with some other books throughout this six week time of reading. I got bogged down a little in the middle section, picked up steam again after that, but then somewhat raced to finish it. I'm glad I read it and glad I was introduced to Jasper Fforde books via a "blind date", but it's still a rating range of 3 - 5 (a borrow from the library 5). I appreciate your comments, and I check for them on a regular basis! Please forgive me for making you prove that you are not a bot, and for going through the approval step before I publish them. Blame it on the folks early on in my blogging life who kept adding sales pitches for mushrooms and everything else you can think of. Rather than begin yet another new blog, I'm using English Poeima (English craftsmanship, or at least working on it) to blog about Slow Track Christ-centered Spiritual Formation. That covers a lot of areas that some might not think of as spiritual formation, but I think of spiritual formation as involving my mind, heart, body, soul, and will. It includes other people, too.